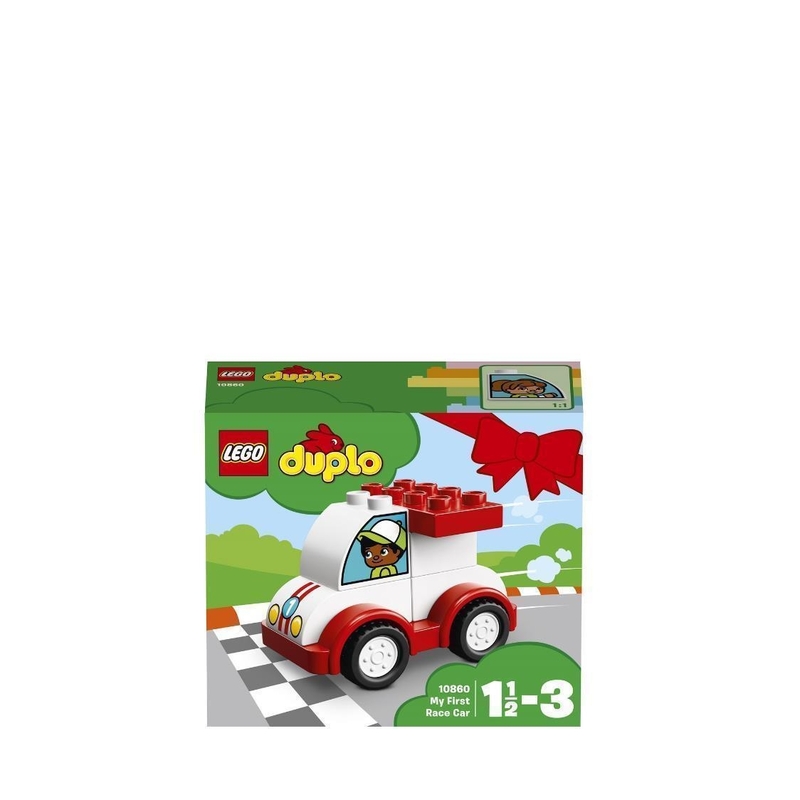 - Features a buildable race car on a LEGO® DUPLO® wheelbase. - Also includes a double-sided brick featuring different driver characters as story starters. - A quick and simple build for hours of driving fun. - This set is a great toy to take and play with wherever you go. 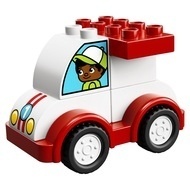 - Turn the double-sided brick to choose your racing driver. - This preschool toy makes and ideal gift for preschool children. 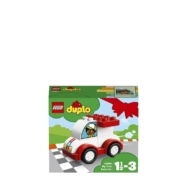 - Suitable for ages 1½-3. - Race car measures over 2” (7cm) high, 3” (9cm) long and 2” (6cm) wide.